We love to receive communications and notes from our guests! One of the first things we do, after a quest leaves, is to check our notebook for their feedback. While we see many guest reviews on other platforms, the Villa Oasis Facebook page clearly gets those most online activity. She also posted a few beautiful pictures that we felt he had to turn this into a wonderful graphic below! 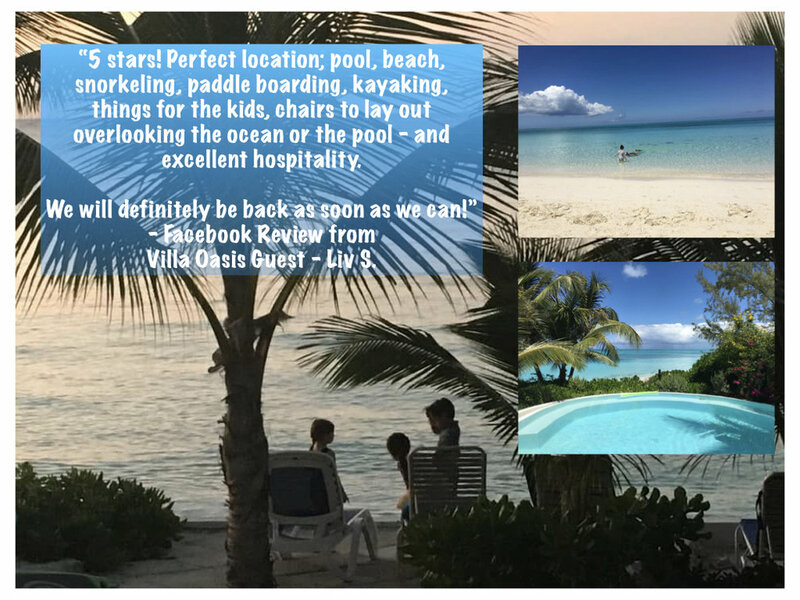 Thank you Liv for staying with Villa Oasis, and sharing this wonderful review and lovely photos with so many! We truly look forward to your return!